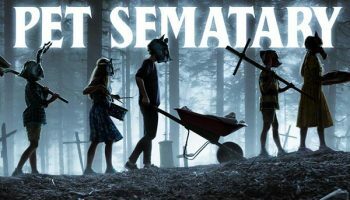 ‘Pet Sematary’ Movie Review – Spotlight Report "The Best Entertainment Website in Oz"
Pet Sematary, directed by Kevin Kölsch and Dennis Widmyer is the second adaptation of the Stephen King novel about a burial ground that raises the dead. This version differs from the novel in a few ways that might not please King fans, but its changes aren’t the problem. Louis Creed (Jason Clarke), his wife Rachel (Amy Seimetz) and their daughter Ellie (Jeté Laurence) and son Gage (Hugo and Lucas Lavoie) move to the cosy little Maine town of Ludlow to escape the rat race. 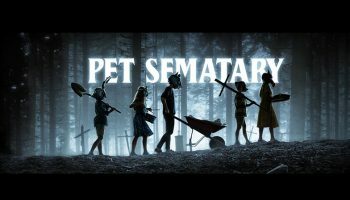 They discover a pet cemetery on their extensive grounds and meet a charming neighbour, Jud (John Lithgow), who has some dark secrets about the surrounding wilderness. When the family cat is killed by a passing truck, Jud helps Louis bury it with some surprising results. 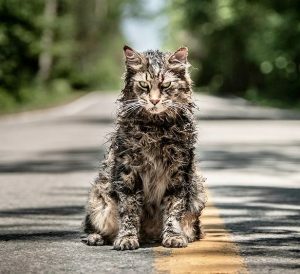 Like most King stories, Pet Sematary is heavy on the emotional trauma and portentous visions. Where Stanley Kubrick elevated these visions into something genuinely otherworldly and confusing in The Shining, this film treads very familiar ground and you wonder if it’s strictly necessary in a shorter movie that could have used a little more characterisation to justify some of the characters’ actions. Some choices made by characters are so hilariously irrational that they need a lot more script work to feel organic and not just a product of narrative requirement. Treading familiar ground is the film’s main problem. 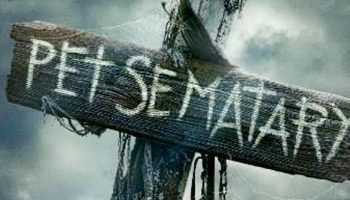 It has some scares – unfortunately they tend to be annoying jump scares – but it’s mostly a parade of horror movie clichés that elicited giggles in our audience. The other problem is that the film is all build-up and then a rushed climax that feels tossed off. If you’re easily scared and enjoy it, then this could be a fun film for you. If not, it’s one of those films that lazily uses emotional bleakness to make supernatural horror seem more credible, and you can skip it.